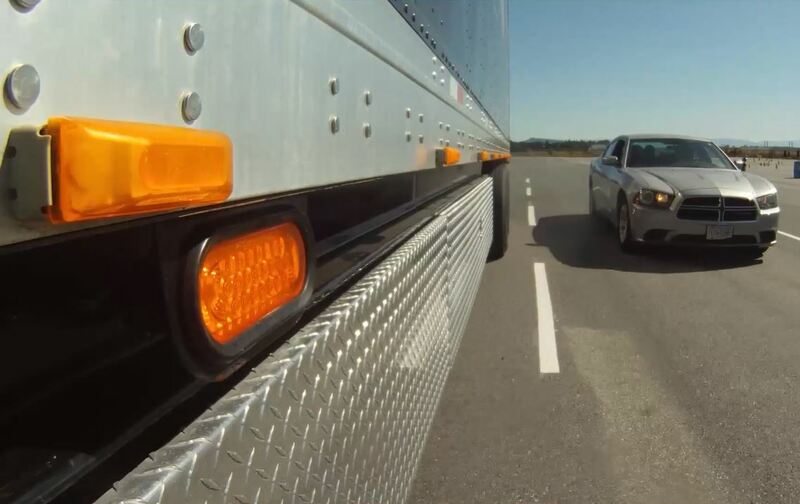 If you compare the size and weight of a loaded commercial vehicle to that of a passenger vehicle, it shouldn’t be surprising to learn the occupants of the passenger vehicle are four times more likely to be killed in a collision, according to Road Safety BC. What may be surprising are studies showing the driver of the passenger vehicle is at fault in at least two-thirds of these incidents with trucks. Well, the evidence suggests some drivers fail to realize large trucks perform and respond differently than smaller vehicles. Here are some examples captured by commercial vehicle dashcams. It’s important people understand that trucks need more space to turn, change lanes and stop. 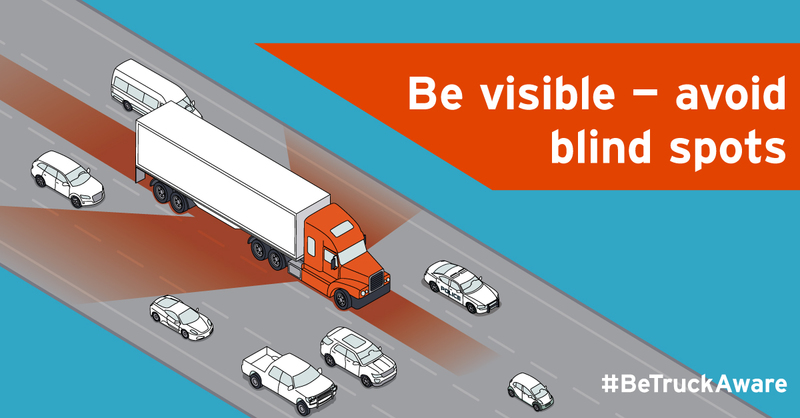 Trucks also have bigger blind spots. The Be Truck Aware campaign is designed to raise awareness of truck safety in an effort to reduce the approximately 60 people killed in crashes involving commercial vehicles in BC every year. Do you have any other tips for driving around large trucks, whether from the perspective of a truck driver or a passenger vehicle driver? Let us know in the comments section. I want to say how important this information is and I personally appreciate these tips being spread. I am in the towing industry and respond to emergency calls. Some of us tow truck drivers take to engaging in conversations like this as a form of therapy. A colleague of mine just last week responded to an accident involving a vehicle and a semi truck. Similar to the first scenario described above, the vehicle merged early, was forced to brake and the semi truck could not stop in time to avoid collision. The incident was horrific, the be truck aware campaign is something that hits home for us. With the winter season we had in the lower mainland, we would also like to remind that we must be even more diligent around commercial vehicle in varying weather conditions. AtCoquitlam Towing we responded to many incidents of this nature and want to see them reduced. Its campaigns like this that will help us get there. Another tip would be to be on high alert of commercial vehicles with their hazards on. Sometimes people attempt to pass on the shoulder or go around the truck when it is slow. But people need to be more mindful and patient as they often get caught. More often then not when we arrive on the scene ourTowing Services are not what you need the most, but an ambulance. Thank-you for spreading awareness and we hope these tips add value to all. And thank you for sharing your thoughts, Trent. It’s valuable to have input here from those with direct experience. Do not enter a roundabout beside a truck. You would not believe how many cars have done that to me. A great tip – thank you. Best to give rigs plenty of room to maneuver in a roundabout – they need as much as they can get. All consideration to some comments, there’s plenty of fault on all sides for poor driving habits. A lot of car drivers are oblivious to how a truck handles/drives/stops. A lot of truck drivers are either poorly trained/supervised, or they are taking unnecessary risks due to poor pay or questionable dispatch practices. Apply those, and many driving problems go away. Trucks handle differently in adverse weather than cars. Were less likely to hydroplane (assuming decent tires), inertia is generally our friend in corners and hills, so long as we’re within our safe-for-conditions speed…sometimes too slow is worse, especially in bad traction conditions. Be aware of your surroundings and the conditions, apply Common Sense and Respect in healthy doses and plan ahead. or with the rising or setting sun glaring in their side mirrors. high beams to let them know it is safe to pull in front of you. flashing their right side reversing light. Give yourself a pat on the back! So, be prepared to take evasive action with virtually no warning. Hi Ryan and thank you so much for sharing this important tip with us. Safe travels! While travelling from Abbotsford to Burnaby in challenging driving conditions due to very heavy rain last eve from about 5 to 6:30 p.m. I was again literally dumfounded by the speed at which semis were driving in the ‘fast lane’ to my left. I am currently driving an Acura sedan and am fully aware of the impact I will incur should a semi hit me. I deliberately stayed out of the left/’fast’ lane and drove for the conditions as is a consideration when I am driving. I am aware some car drivers do not consider driving conditions when they are driving and drive in ways that can result in accidents, e.g. 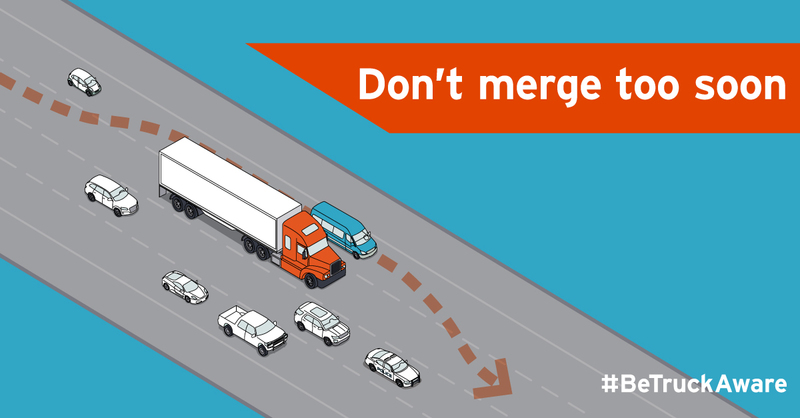 /making lane changes/cutting in front of other cars, not just trucks, when it is not safe to do so. I travel up and down and across the width of Vancouver Island for my work, travel to Abbotsford on the way to our ‘getaway and so many other routes. I know some people drive unsafely and some of those people are driving semis. Again, hitting those of us driving cars will lead to us incurring greater injury. This past October 18 my husband drove me, in his SAAB sedan, from our home in Burnaby to a ‘rush’ biopsy at Abbotsford Regional Hospital. The rain was torrential on that day. At one point he commented he was driving behind the semi in front of us as he had observed his driving behaviour to be responsible. He followed far enough back from that semi that he would be able to top if stopping was indicated. As happened last eve, and as happens too often when I am driving, semis were literally blowing past us in both the left/’fast’ lane and in the lane to our right when there was such a lane. On October 18 I was shocked at the tractors pulling trailer that pulled into the distance my husband was deliberately leaving behind the semi as he was remaining cognizant of longer stop times due to the heavy rain. My husband drove semis for years. He, e.g. moved concrete bridge components from the Lower Mainland to other parts of BC and drove the steer dolly while working to transport concrete beams from Richmond to sites along the Expo line as it was being built. We traveled across Canada and back to Burnaby via the US with my husband driving our 5th wheel. Through travelling with him and what he has shared with myself and our now adult children I know my husband is a safe driver. Is there a way to raise safety consciousness among more of those driving semis, i.e. the 1/3 who are at fault when they hit a passenger vehicle in which there is a resulting fatality. I am mindful of the impact a semi will cause if one hits my car and do my best to keep my distance from those I see driven unsafely and including at excessive speeds as I do passenger vehicles driven unsafely and including at excessive speeds. Hello Dianne and thank you for your very thoughtful comment! Having conversations like this, on a public forum, is the first step in raising awareness on this topic. Careful and cautious drivers such as yourself and your husband, driving responsibly and setting a good example for others is also a good step. We will also share this feedback with the Commercial Vehicle Safety Enforcement group for discussion as well. Thanks again and safe travels. Don’t stay anywhere next to them, and in particular try to ensure you are not on the outside of a transport in a curve. 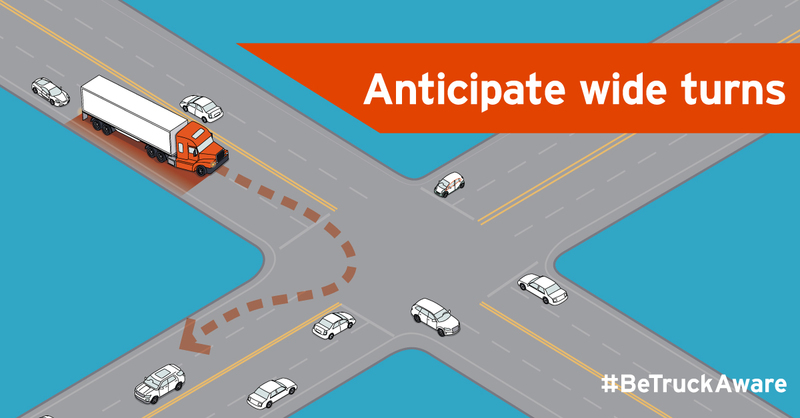 If anything were to happen, that high centered vehicle or trailer will go out, right on top of you. This is most important for loaded logging trucks and concrete trucks. Thanks for your comment Bart. Giving commercial drivers as much space as possible is always a wise idea.